Definition: ESG investing stands for environmental, social, and governance. These three criteria set standards for investors when screening for new investments. Environmental looks at a company’s impact on land and natural resources. Social factors in the company’s relationship with its customers, employees, and other stakeholders. Governance covers the company’s management, compensation, and internal controls. ESG conscious investors have high ethical standards. They seek investments with sustainable practices. 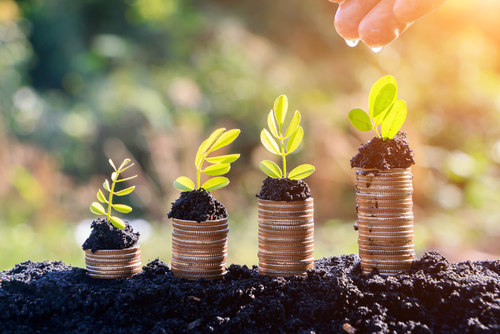 Companies that improve their ESG ratings tend to spend more money in the short-term but if done right, can improve their long-term performance. In 2017, Barron’s list of the 100 most sustainable companies returned 29%, compared with 22% for the S&P 500. Seven percent in one year is huge and we will keep an eye on the performance going forward. One goal of ESG investing is to avoid firms that have hard losses from their ESG practices. One recent example is Volkswagen’s emissions scandal. Some other notable scandals include the BP oil spill and Enron’s accounting fraud. ESG investing is a broad concept but different entities have set up sustainability frameworks. The International Finance Corporation provides a great breakdown of environmental and social risks. A few of their ESG categories include Resource Efficiency, Labor, Biodiversity, and Community. MSCI has also developed its own ESG investing metrics. Their sustainable impact metrics are in alignment with the U.N. sustainable development goals. The overarching metric themes are basic needs, empowerment, climate change, natural capital, and governance. ESG investing has become increasingly important. More investors are incorporating ESG data into their analysis. You can learn more about ESG integration by checking out the CFA Institute’s ESG integration report that covers equities and fixed income. Cisco Systems – is aggressively increasing its use of renewable energy. Last fiscal year, it accounted for 80% of Cisco’s electricity use worldwide. Best Buy – plans to reduce carbon emissions by 60% by 2020. Best Buy also collected 178 million pounds of electronics and appliances for recycling last year. Texas Instruments – is committed to engineering a better tomorrow and has a plan that includes recycling, reducing emissions and reducing environmental footprint. Microsoft – plans to lower carbon emissions by 75%. Microsoft has also committed $50 million to solve global environmental challenges. Clorox – goes beyond environmental compliance requirements. By 2020, Clorox wants more than 90% of its products to be in recyclable primary packaging. Socially responsible investing is gaining traction. The companies above have positioned themselves well for ESG investing. To learn more about investing, check out our dividend investing research.